Mesorhizobium ciceri bv. 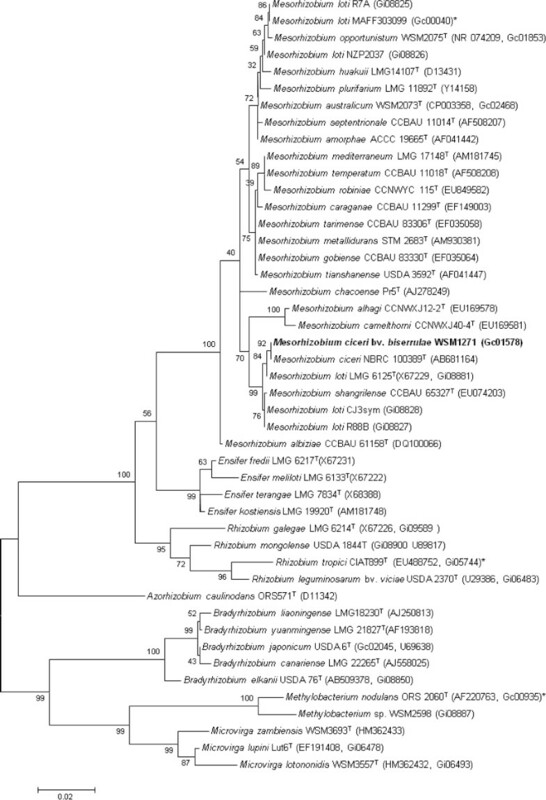 biserrulae strain WSM1271T was isolated from root nodules of the pasture legume Biserrula pelecinus growing in the Mediterranean basin. 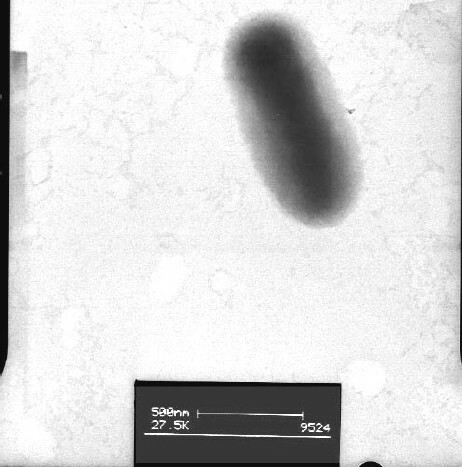 Previous studies have shown this aerobic, motile, Gram negative, non-spore-forming rod preferably nodulates B. pelecinus — a legume with many beneficial agronomic attributes for sustainable agriculture in Australia. 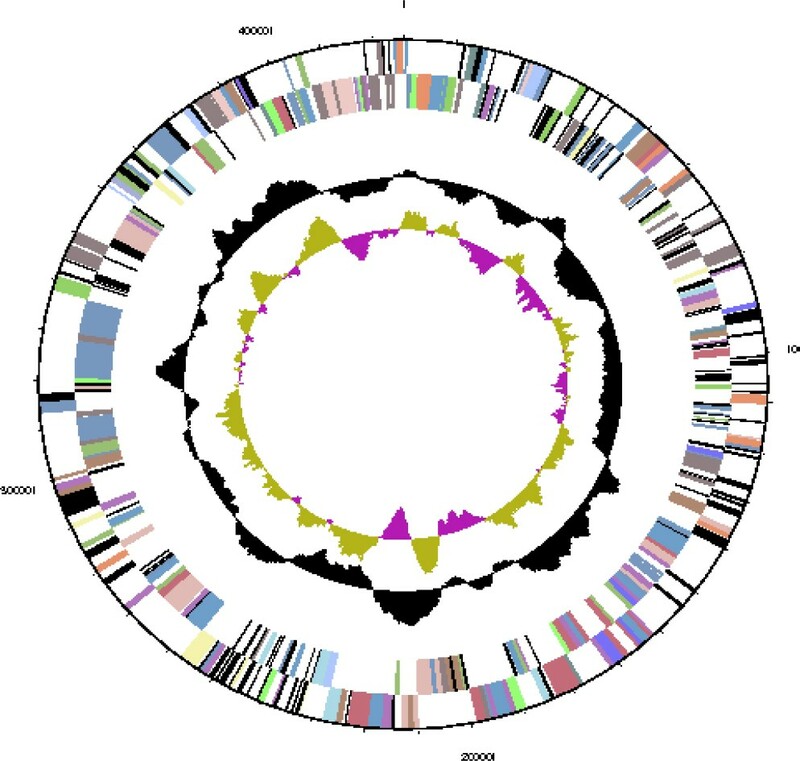 We describe the genome of Mesorhizobium ciceri bv. biserrulae strain WSM1271T consisting of a 6,264,489 bp chromosome and a 425,539 bp plasmid that together encode 6,470 protein-coding genes and 61 RNA-only encoding genes. 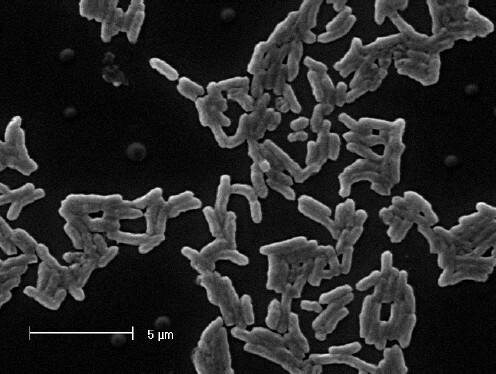 M. ciceri strain WSM1271T is a motile, Gram-negative, non-spore-forming rod (Figure 1 and Figure 2) in the order Rhizobiales of the class Alphaproteobacteria. 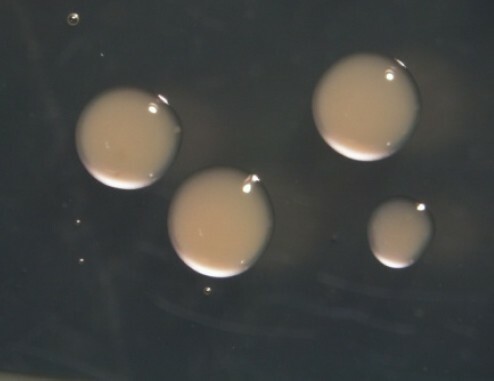 They are moderately fast growing, forming 2–4 mm diameter colonies within 3–4 days, and have a mean generation time of 4–6 h when grown in half Lupin Agar (½LA) broth  at 28 °C. Colonies on ½LA are white-opaque, slightly domed, moderately mucoid with smooth margins (Figure 3). Figure 4 shows the phylogenetic neighborhood of M. ciceri bv. biserrulae strain WSM1271T in a 16S rRNA sequence based tree. This strain clustered in a tight group, which included M. australicum, M. ciceri, M. loti and M. shangrilense and had >99% sequence identity with all four type strains. Our polyphasic taxonomic study indicates that WSM1271T is a new biovar of nodulating bacteria . 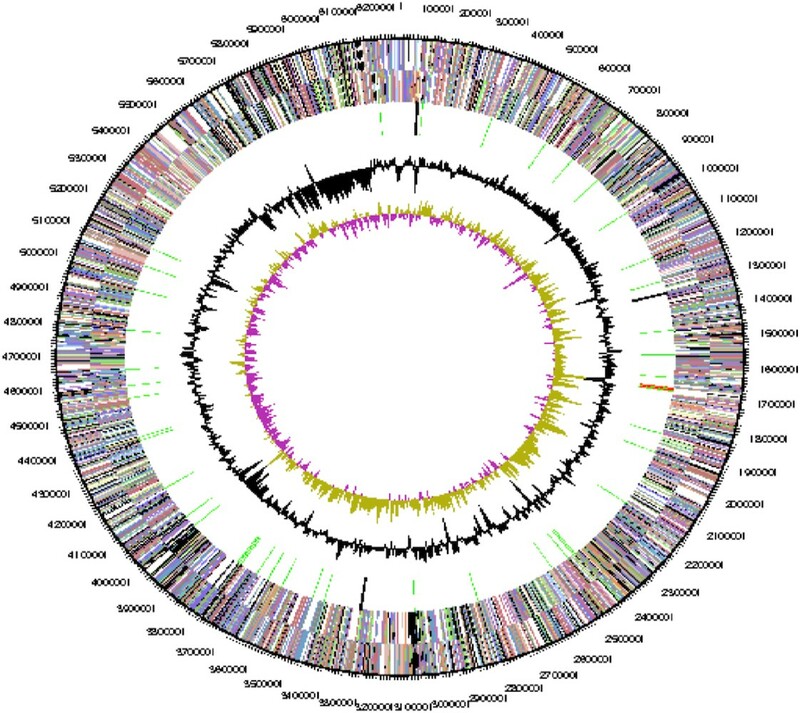 The Joint Genome Institute (JGI) generated the draft genome of M. ciceri bv. biserrulae WSM1271T using a combination of Illumina  and 454 technologies . The sequencing of an Illumina GAii shotgun library generated 23,461,369 reads totaling 844.6 Mb, a 454 Titanium standard library which generated 277,881 reads and a paired end 454 libraries with average insert size of 1.137 +/− 2.842 Kb and 4.378 +/− 1.094 kb which generated 40,653 and 130,843 reads totaling 244.0 Mb of 454 data. All general aspects of library construction and sequencing performed at the JGI can be found at the JGI website . The initial draft assembly contained 32 contigs in 2 scaffolds. The 454 Titanium standard data and the 454 paired end data were assembled together with Newbler, version 2.3. The Newbler consensus sequences were computationally shredded into 2 Kb overlapping fake reads (shreds). Illumina sequencing data was assembled with VELVET, version 0.7.63 , and the consensus sequences were computationally shredded into 1.5 Kb overlapping fake reads (shreds). We integrated the 454 Newbler consensus shreds, the Illumina VELVET consensus shreds and the read pairs in the 454 paired end library using parallel phrap, version SPS - 4.24 (High Performance Software, LLC). The software Consed [27–29] was used in the following finishing process. Illumina data was used to correct potential base errors and increase consensus quality using the software Polisher developed at JGI (Alla Lapidus, unpublished). Possible mis-assemblies were corrected using gapResolution (Cliff Han, unpublished), Dupfinisher , or sequencing cloned bridging PCR fragments with subcloning. Gaps between contigs were closed by editing in Consed, by PCR and by Bubble PCR (J-F Cheng, unpublished) primer walks. A total of 49 additional reactions were necessary to close gaps and to raise the quality of the finished sequence. The total size of the genome is 6,890,027 bp and the final assembly is based on 112.0 Mb of 454 draft data which provides an average 26.8× coverage of the genome and 832.1 Mb of Illumina draft data which provides an average 124× coverage of the genome. The genome is 6,690,028 bp long with a 62.56% GC content (Table 3) and comprises a single chromosome and a single plasmid. From a total of 6,531 genes, 6,470 were protein encoding and 61 RNA only encoding genes. Within the genome, 206 pseudogenes were also identified. The majority of genes (70.74%) were assigned a putative function while the remaining genes were annotated as hypothetical. 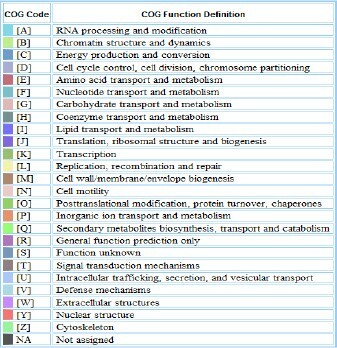 The distribution of genes into COGs functional categories is presented in Table 4, and Figures 5, 6 and 7. Agents B. Technical rules for biological agents. TRBA (http://www.baua.de):466.